As a student, the whole-class novel was my least favorite reading experience in any class. It was painful, mind-numbingly and excruciating as we read at the pace of the slowest reader in the class and completed page after page of activities that seemed unconnected from the story as well as purposefully designed to make us hate reading. 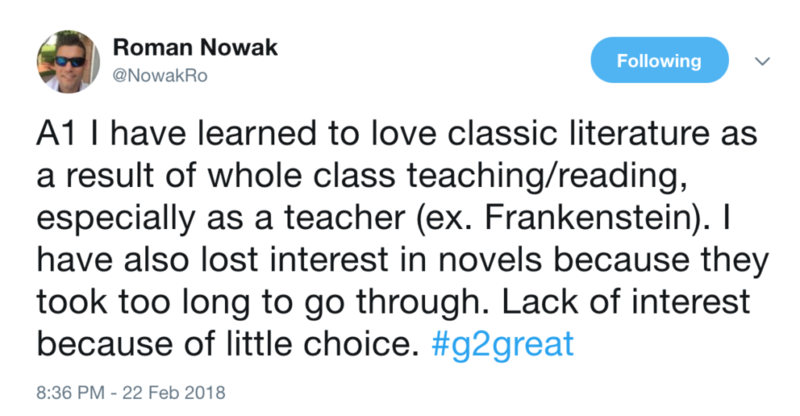 As a teacher I followed the lead of my team and we read whole-class novels. We moved faster than other classes (sometimes getting me in trouble) and read a lot. Sometimes there were choices. Sometimes not. But there was a part of me that said, this use of their time has to move along, not drag out and not kill anyone’s love of reading. 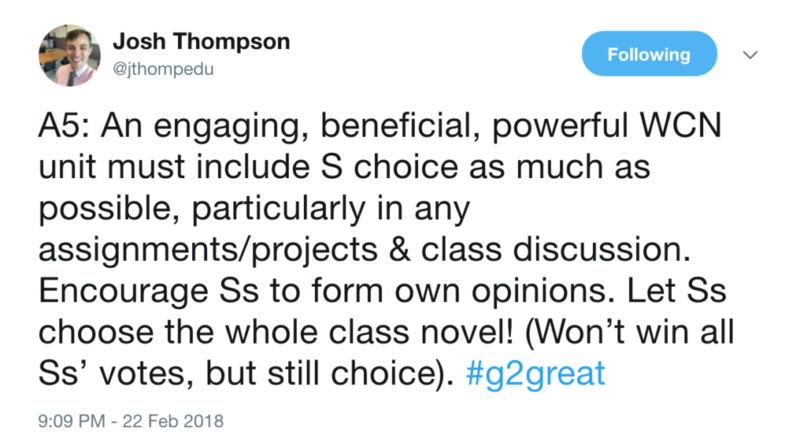 The more that I have listened to the voices of our students as they’ve literally spilled their guts to explain what they liked and disliked, I know that I would have a hard time going back to a whole-class novel. 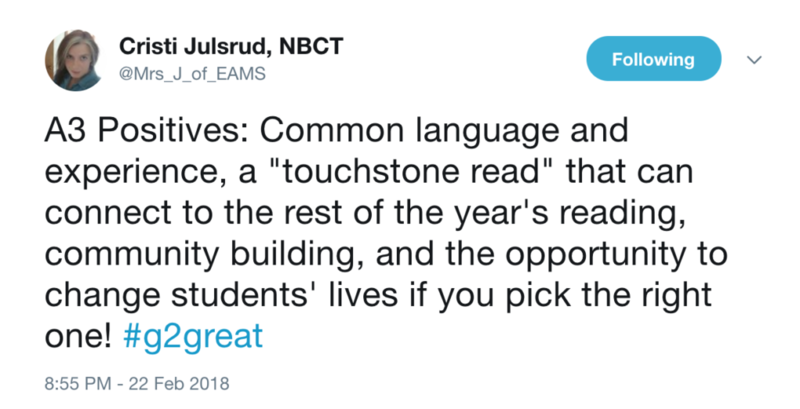 Choosing a title would be so hard because I can’t imagine one title that every student would agree on. 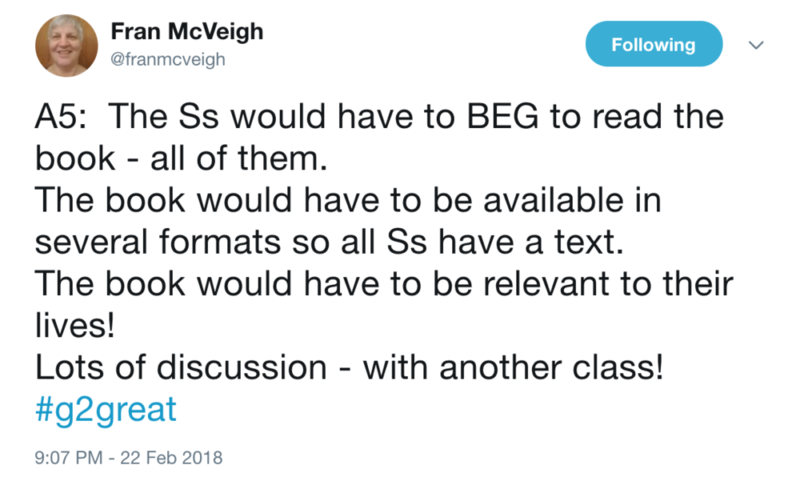 I would much rather have an extra round of book clubs where students could choose their own texts. 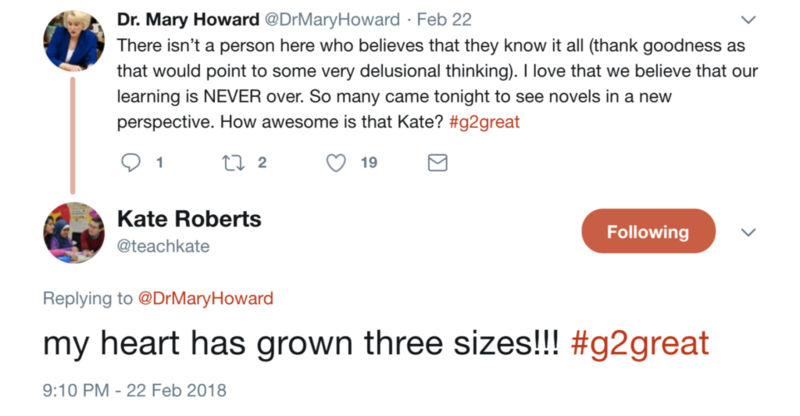 Kate’s book has allowed me, no required me, to think about why I do and do not like whole-class novels. With her demonstration lessons, I have seen the possibilities. There are classrooms where students could benefit from not spending 12 weeks on the same book. 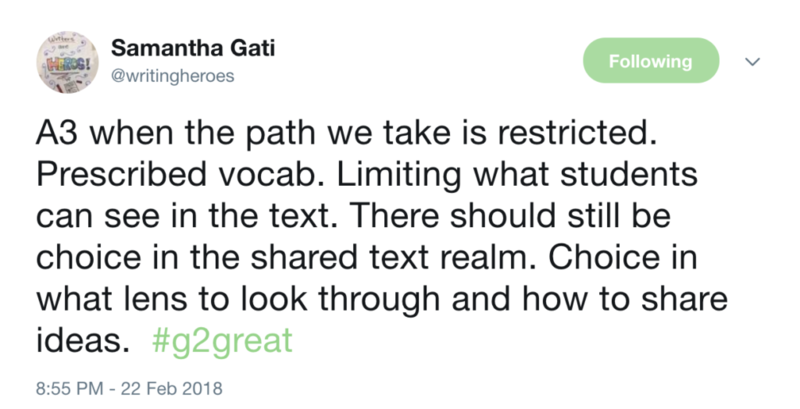 There are classrooms where students might benefit from a common shared text to build community. There are ways to expand our current repertoires to increase student learning. 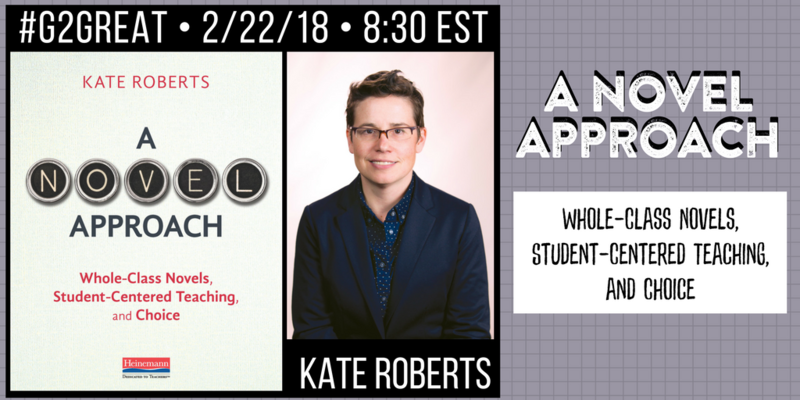 That’s that best part of “A Novel Approach” – exploring the possibilities with Kate’s brilliant thinking as a mentor text!